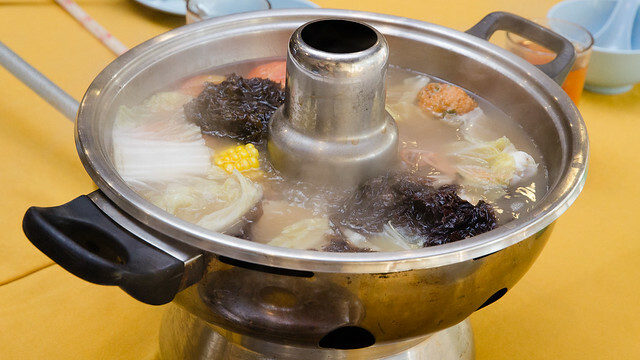 Yuen Buffet Steamboat at Kelana Jaya is a eat all you can until you full’s steamboat. 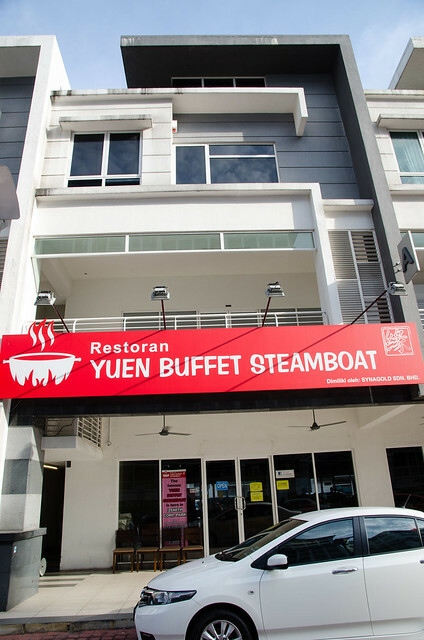 According to it’s website, Yuen Buffet Steamboat is the pioneer of buffet steamboat in Sunway Mentari, and now it has moved to Zenith Corporate Park (behind Paradigm Mall) at Kelana Jaya. I still remember going to Yuen Buffet a few years ago and queue for our turn to eat the steamboat. Now it has moved to Kelana Jaya and nearer to my staying place. 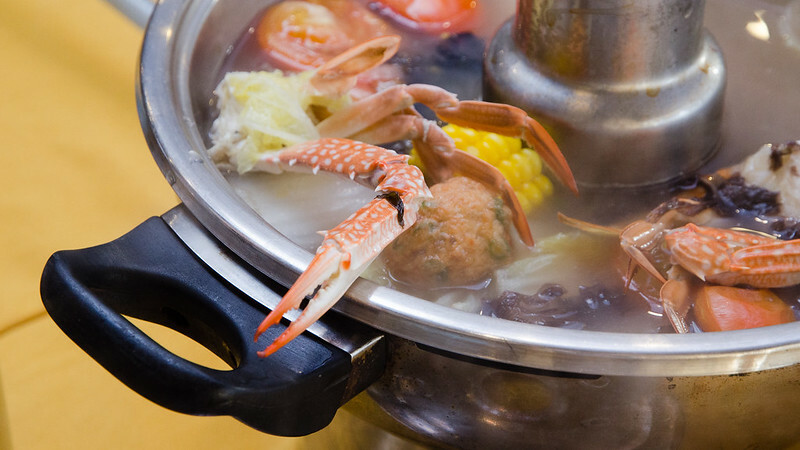 Steam and eat all you can at Yuen Buffet Steamboat. 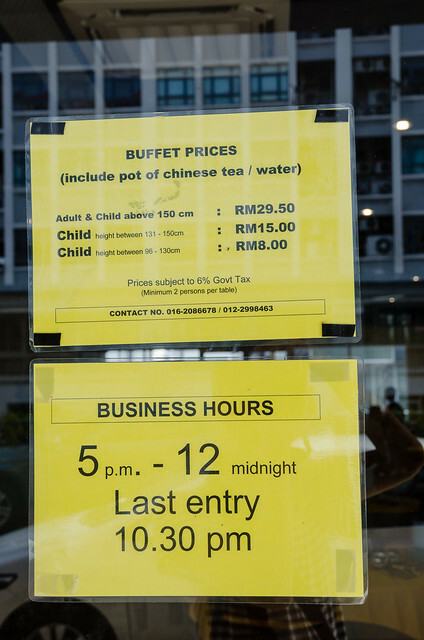 Yuen Buffet Steamboat occupied 2 lots of shop on the ground floor, compared to 2 floors previously at Sunway Mentari. Many tables available inside the shop and the walking space is quite wide so it is still comfortable even if it is full house. 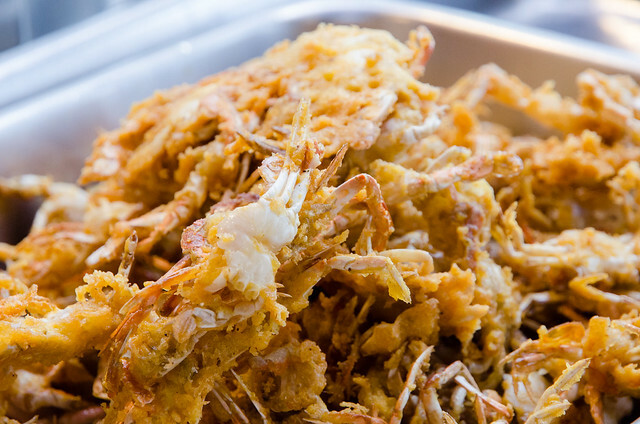 The mini fried crab as appetiser while waiting for your food to be cooked in the steamboat. 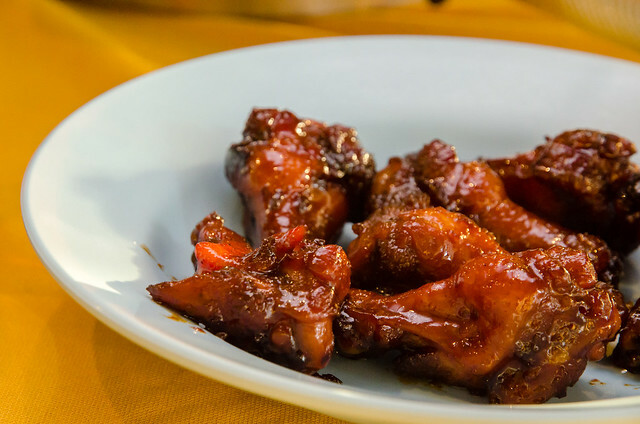 This honey-glazed chicken wing of Yuen Buffet Steamboat is of one the reason many come to this restaurant. Even though the chicken wings are replenished regularly, they will be gone in 5 minutes. So if you really want to eat this, you better stand by with a plate or maybe 2 plates at the table where they serve the juicy chicken wings. 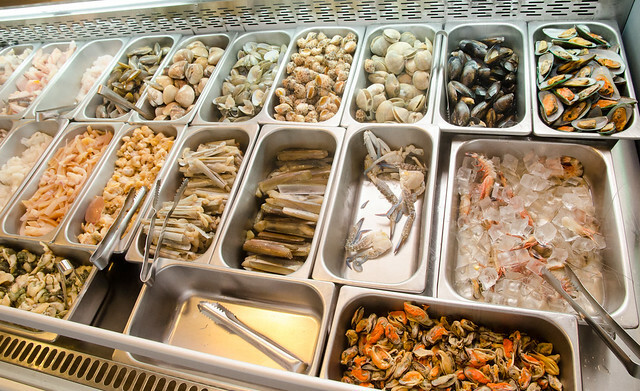 The seafood corner. 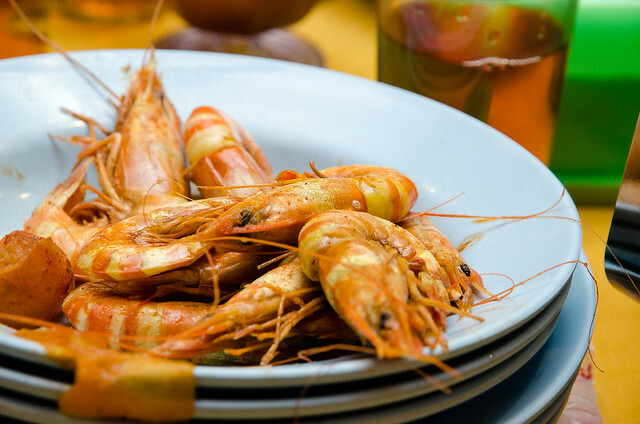 The empty container here is for the prawns which finished up very quickly. As you can see here the flower crabs are also finishing up soon. 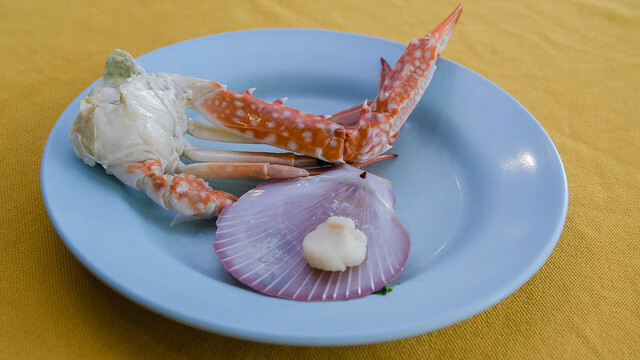 There are other seafood as well such as clams and bamboo snails. 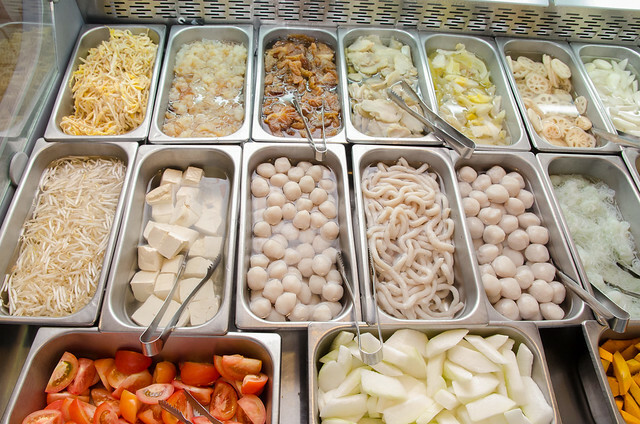 There are many fresh ingredients to choose from for your steamboat such as the fish balls, squid balls, tomatoes, fish noodles, pumpkin and white carrot. 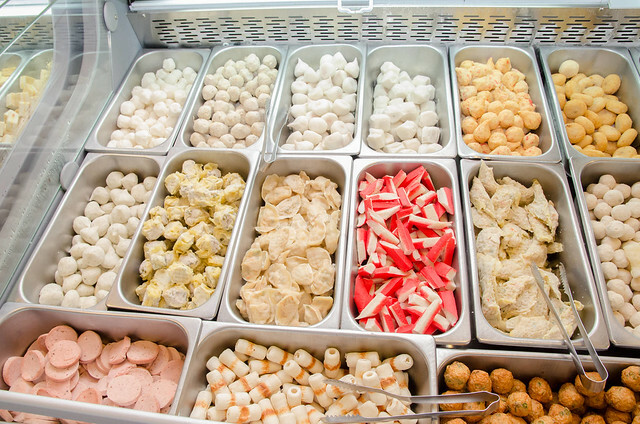 So many kind of balls and we don’t really get to try all of them. 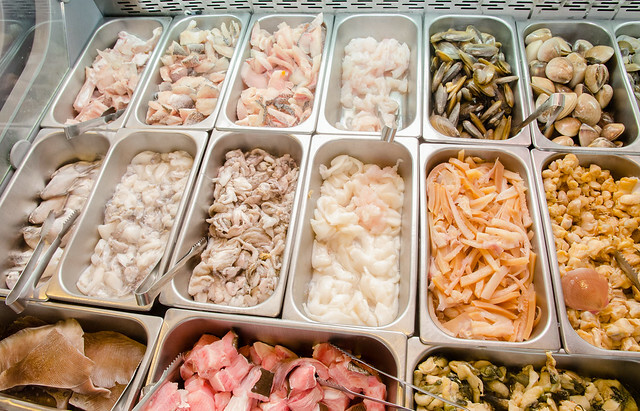 More clams, fish and squids. The meat and tofu corner with some unidentified food. No pork is served here and according to the website, the soup base and all the ingredients are bought from halal certified vendors such as Ayamas. For the crabs, they are the halal flower crabs. 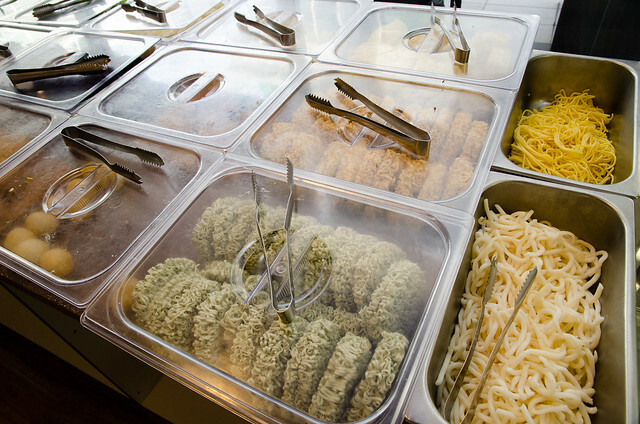 The many choices of sauce to go with your steamboat. 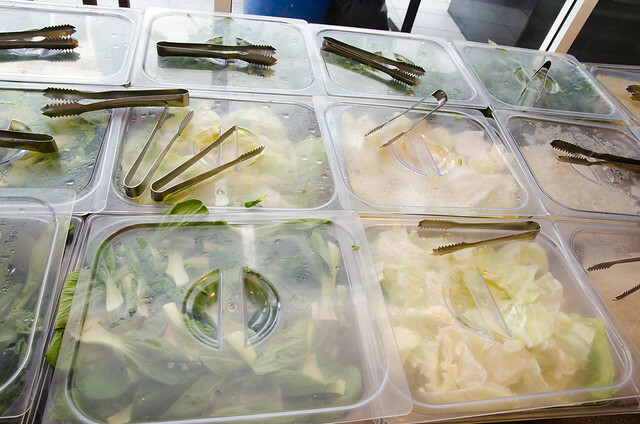 Fresh vegetables to help your digestion after eat too much meat and seafood. Eggs and few kinds of noodles. Come here if you are still hungry after eating all the foods. And so our cooking started. The steamboat is using normal gas tank and not charcoal. 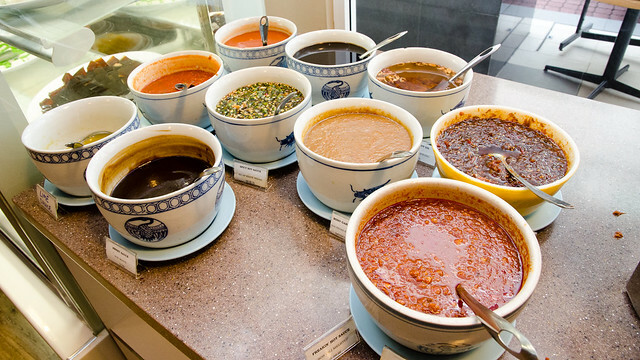 The soup base is nice enough. If come to all you can eat steamboat, one must eat the expensive food. So my first choice is the crab and scallop. Both are fresh on the day we came here. 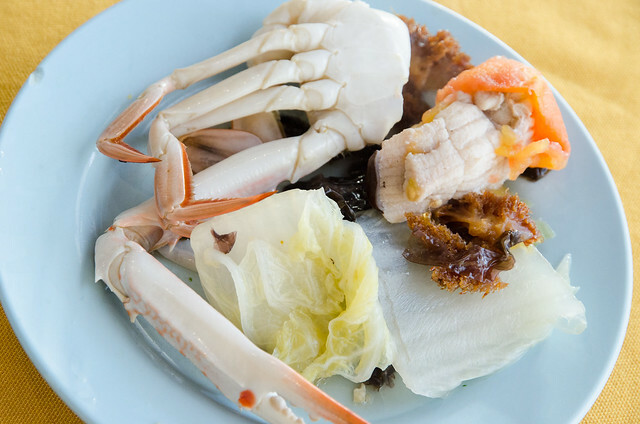 More crabs, fish and some vegetables to balance the diet. 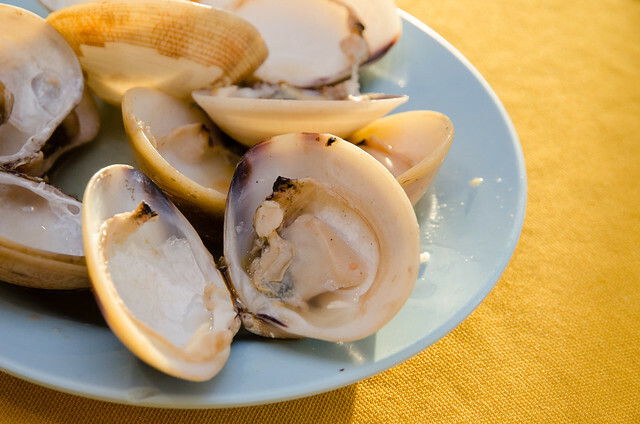 Ate many clams on that day. The fresh prawns steamed in tomyam soup base. 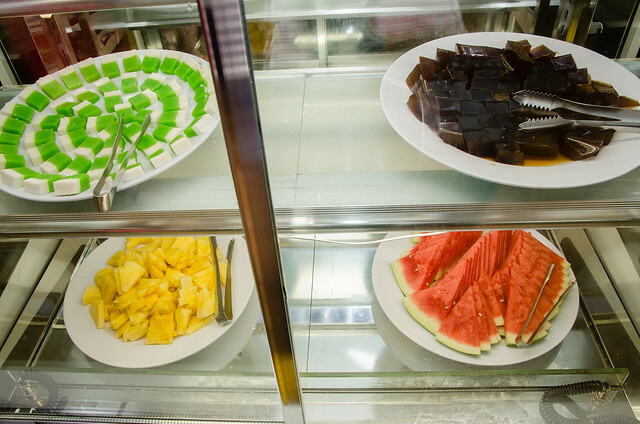 The desserts served at Yuen Buffet Steamboat are nyonya kuih, water melon and pineapples to sweeten your tongue. 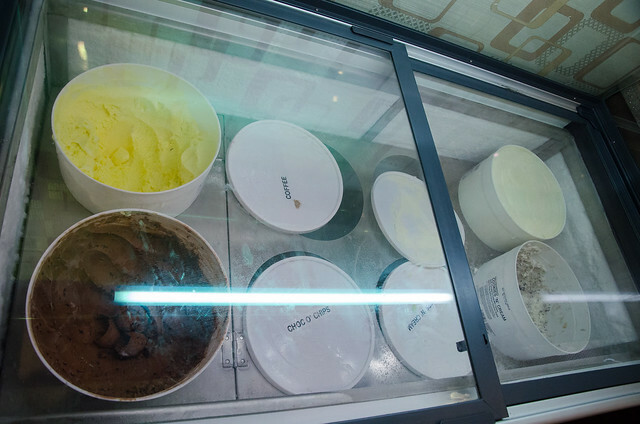 Or you can choose to fatten yourself with ice cream. 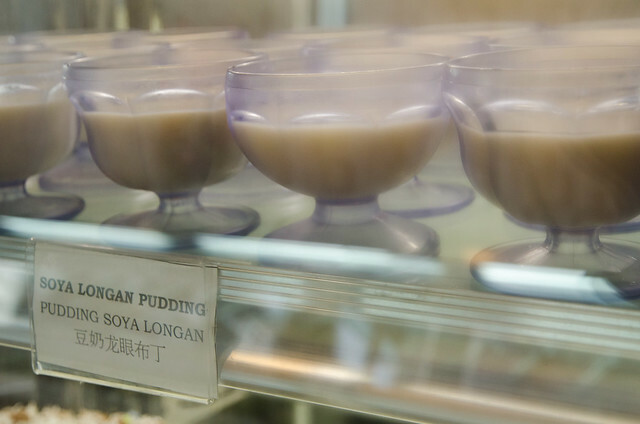 Also available here at Yuen Buffet Steamboat is the soya longan pudding. Quite delicious. This pudding is also very popular among the customers, so better grab a few cups when you have the chance. 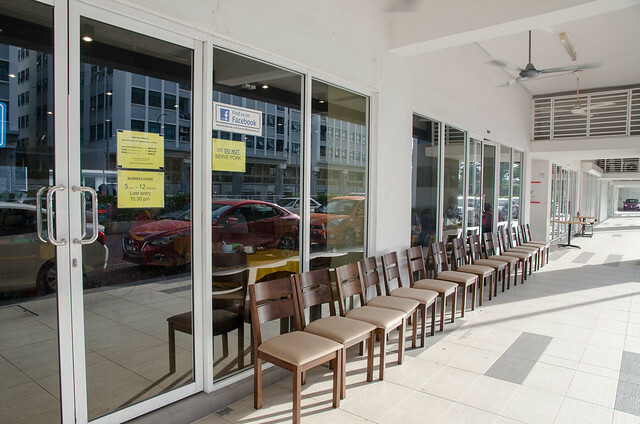 The chairs for the customer to wait for their turn. It can get very packed at night so better make a reservation before come. 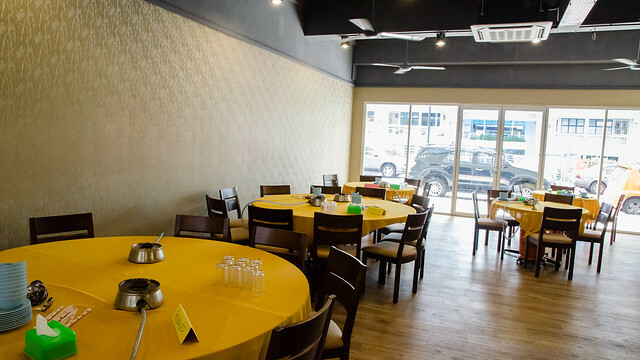 Yuen Buffet Steamboat is located at this Zenith Corporate Park at Kelana Jaya. Quite hard to find this place without Waze as we never come to this side of Kelana Jaya before. 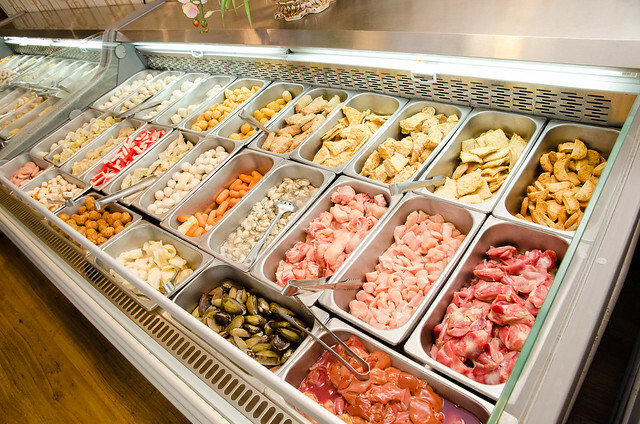 The full menu of Yuen Buffet Steamboat. 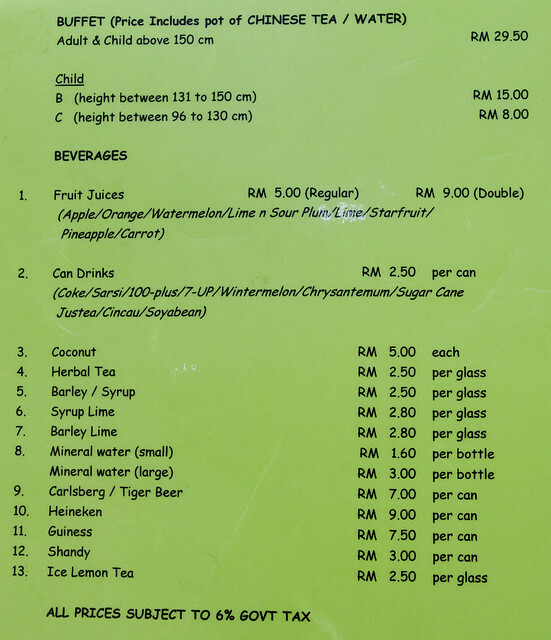 I think it is worth the RM 29.50 if you can eat a lot of seafood. 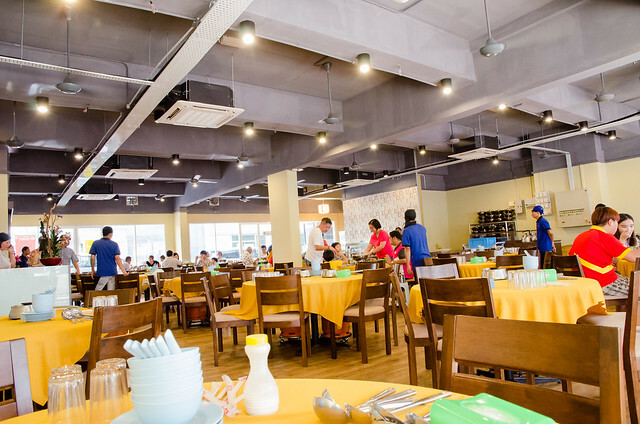 The opening hour of this steamboat restaurant is from 5 pm to 12 am. There is no time limit for the steamboating.